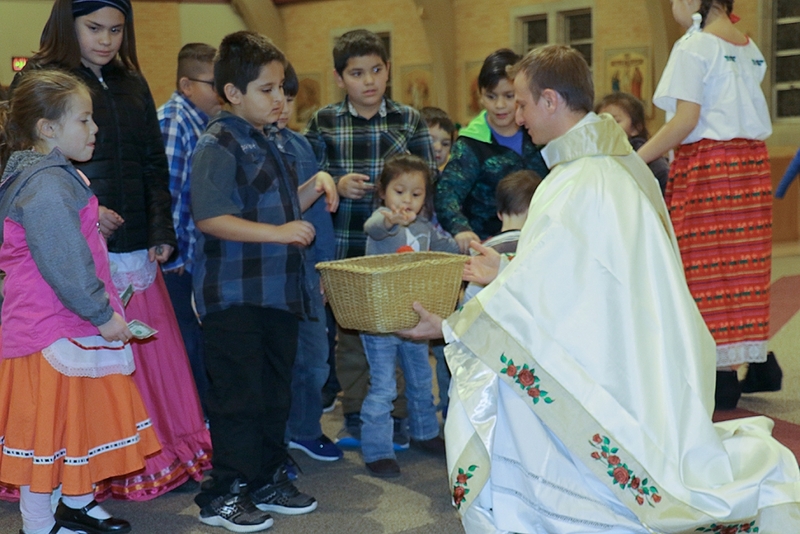 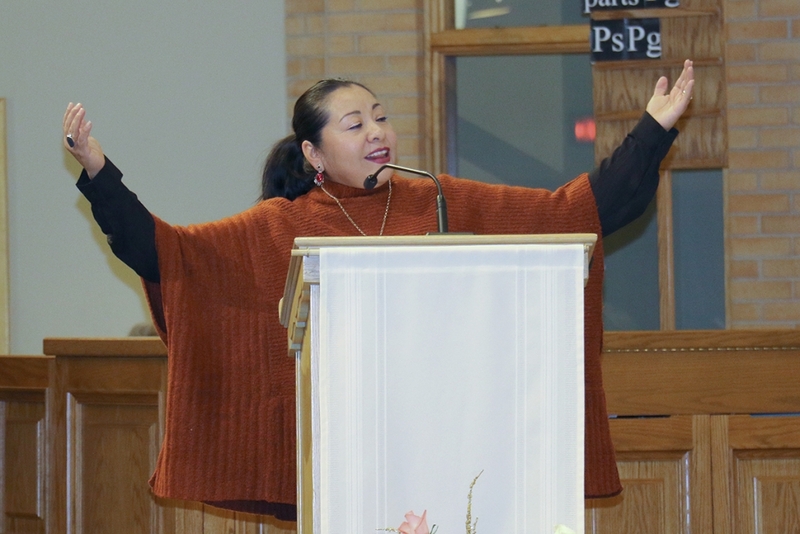 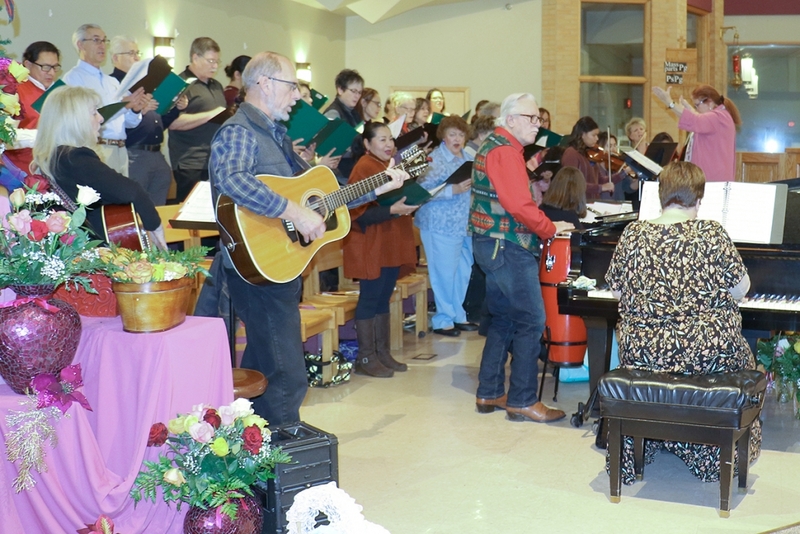 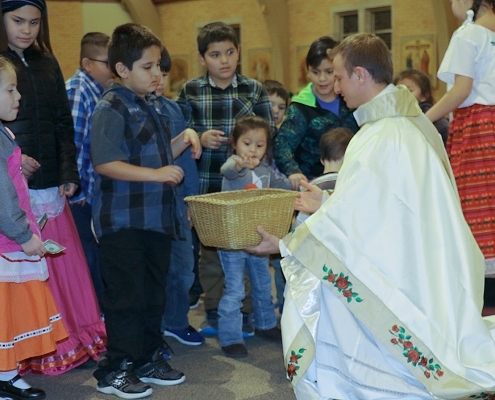 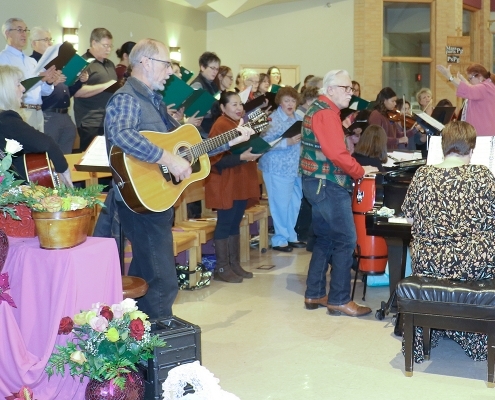 The feast of Our Lady of Guadalupe (December 12) was celebrated with a Mass and dinner at Blessed Sacrament Church, Rapid City. 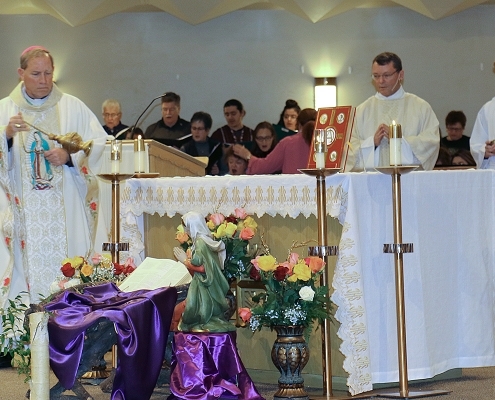 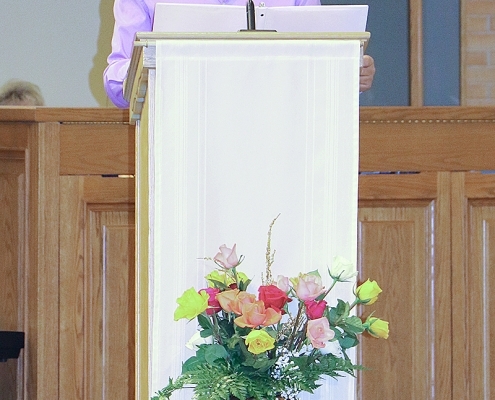 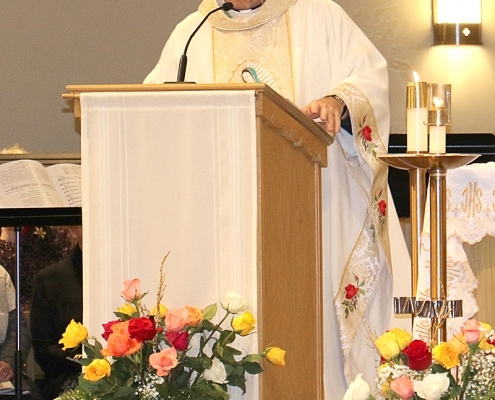 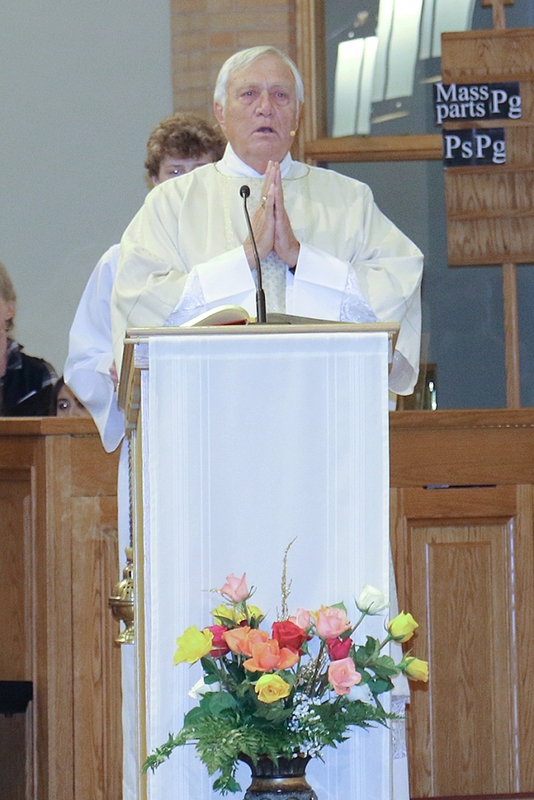 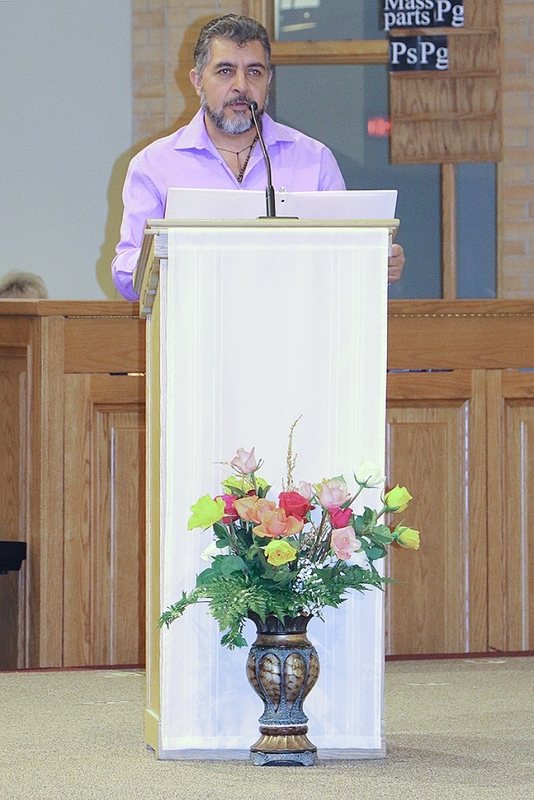 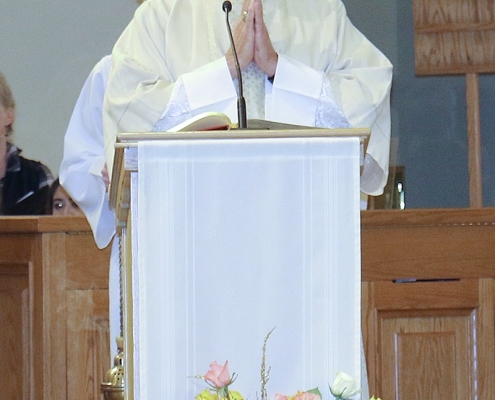 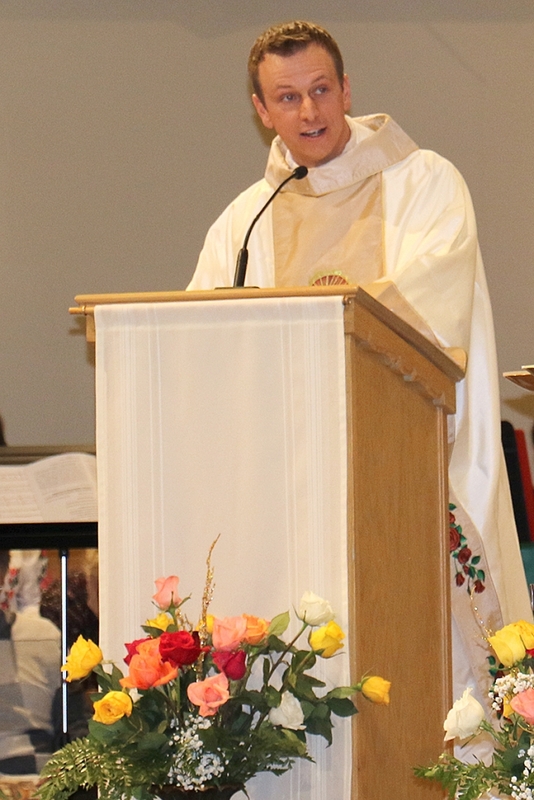 Bishop Robert Gruss was the principal celebrant at the bilingual Mass. 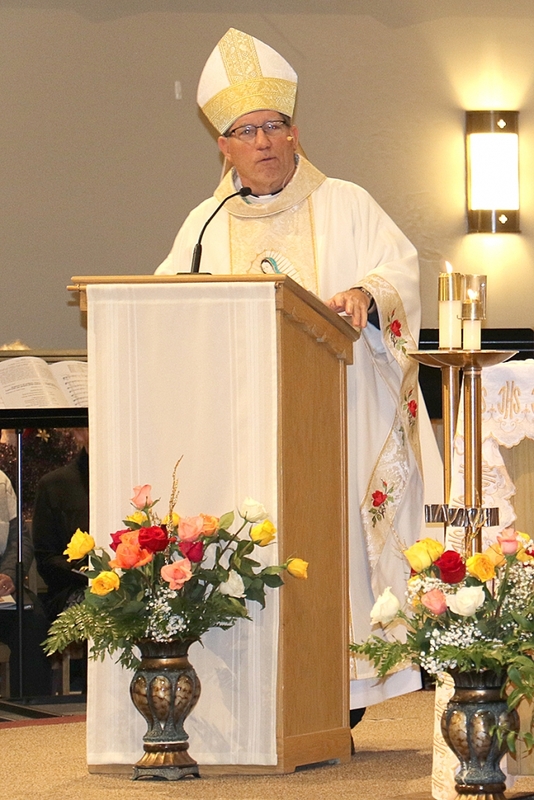 Fathers Mark Horn, Tim Hoag, Adam Hofer, and Mark McCormick concelebrated. 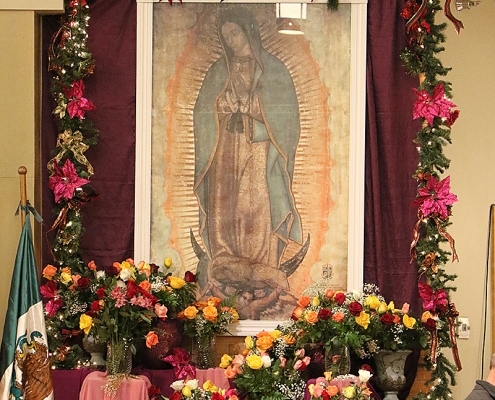 The celebration recalls the miraculous apparitions of the brown-skinned Virgin Mary to St. Juan Diego at Tepeyac, Mexico, in December 1531. 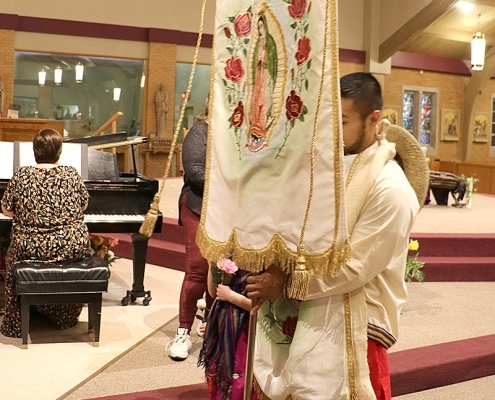 She appeared to Juan Diego three times and the last time filled his tilma (cloak) with roses. 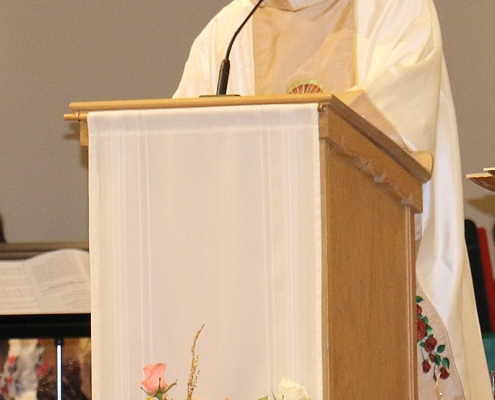 When he emptied his cloak of the roses, he found that it bore her image. 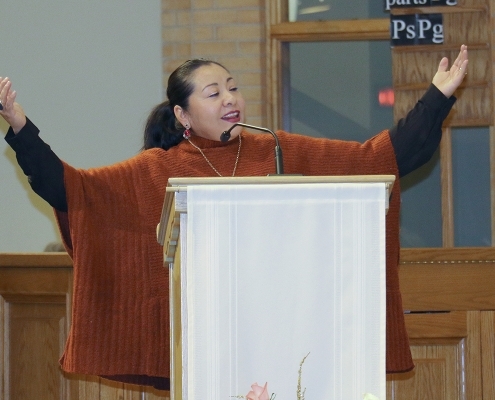 In the decades after her appearance, millions of indigenous people converted to the faith. 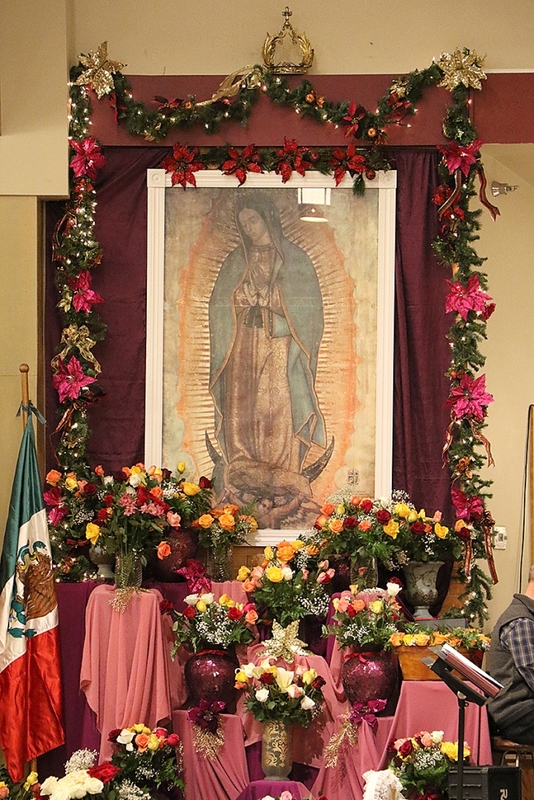 In 1999, then-Pope John Paul II, in a homily given at the Basilica of Our Lady of Guadalupe in Mexico, declared December 12 as a Liturgical Holy Day for the whole continent. 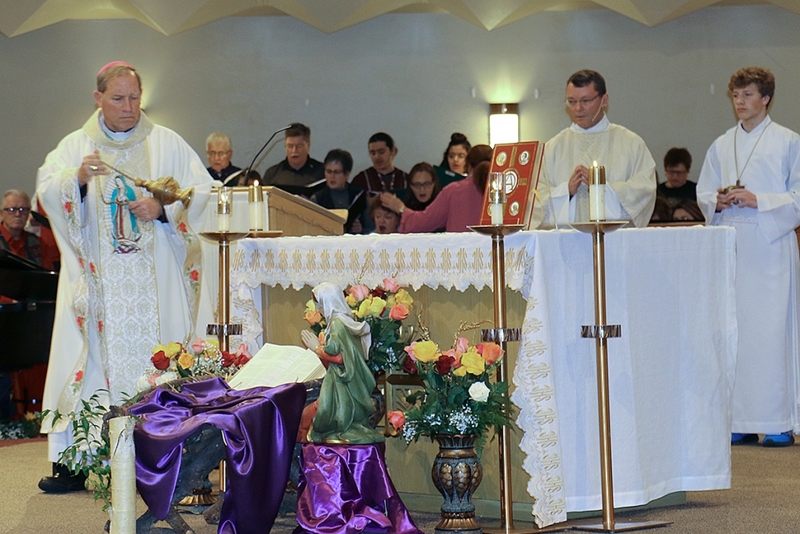 During the same visit, Pope John Paul II entrusted the cause of life to her loving protection, and placed under her motherly care the innocent lives of children, especially those who are in danger of not being born. 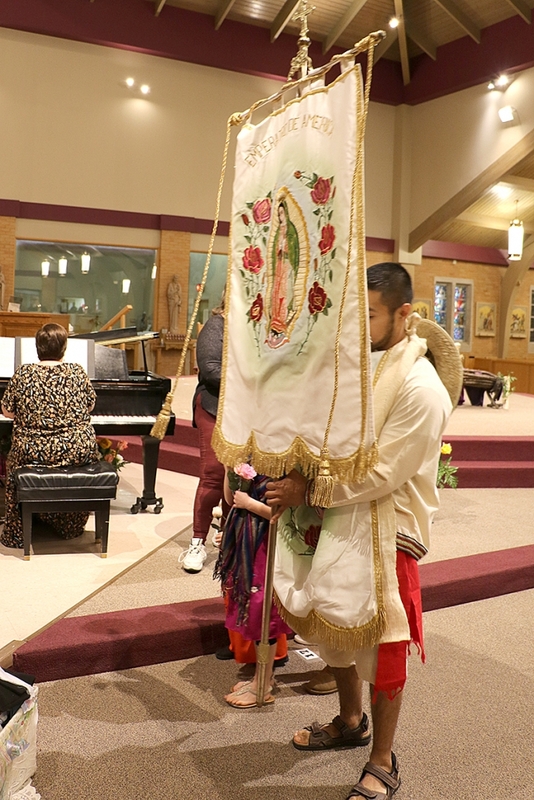 She is the Patroness of the unborn and the Americas.